The Kabbalah is the deepest, mystical dimension of the Torah. Chassidus articulates these profound teachings in philosophical terms, making them accessible to the rational mind. The insights of Chassidus infuse classic Torah teachings, and ultimately, practical Jewish life, with depth, vitality, warmth and joy. In-depth study of the Lubavitcher Rebbe’s sichos. Our lunch and learn group analyzes the stories and timeless messages of the weekly Torah portion, current events or holidays. Interested in a topic? Chabad offers one-on-one study on the topic of your choice. 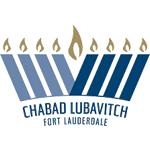 Call 954-568-1190 or email rabbiyitzchok@chabadfll.com.